We have exciting news for you today, and possibly the most important scientific breakthrough since the wheel: a laser NES Zapper. Some smart — and we hasten to add, safe — people have changed the famous NES accessory from a light gun to a laser gun, and we're not even kidding. After taking the light gun apart and stripping out everything but the trigger and an electric switch, the chaps at North Street Labs started to rig a powerful laser in the casing, with plenty of wiring and engineering involved. 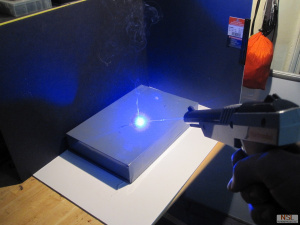 The final result was a fully functional, and rather powerful, NES Zapper Laser. It goes without saying that this isn't something to try at home, as these guys know what they're doing and are following applicable laws, but in any case you can see it in action below. 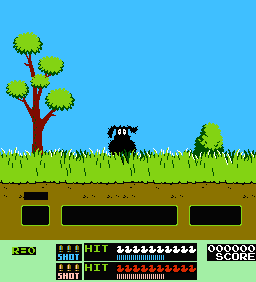 We like to imagine that when the guy with the gun makes 'pew pew' noises, he's thinking about the sniggering dog in Duck Hunt. And we are one step closer to a Star Wars universe. George Lucas would be proud. "No, Mister Mario, I expect you to DIE!" I wonder if they have one in 40MW range. I see nothing of the kind on the shelf. Wouldn't that melt the plastic on the Zapper? How much does it cost to make one of those!?!? I can feel my inner eight year old go SQUEEE! Those ducks won't stand a chance! "Now you're playing with power." @kyuubikid213 They don't use laser guns in Star Wars. Their blasters fire bolts of superheated plasma. That's why they don't travel at the speed of light.